Lake Gardens, known officially as Perdana Botanical Gardens, is Kuala Lumpur's first large-scale recreational park. Measuring 91.6 hectares, it is located in the heart of the city and established in 1888. Lake Gardens served as place of refuge from the hustle and bustle of the city during colonial times. It contains large sculpted and manicured gardens and a host of attractions. The colonial-era park was the brainchild of Alfred Venning, the British State Treasurer of Selangor in the late 19th century. In 1888, Venning proposed that a botanical garden be built in the valley of Sungei Bras Bras, and the British Resident Frank Swettenham agreed to the scheme and authorised a small grant from the State funds for the garden. Venning laid out the plan for a park of 173 acres which included an "experimental economic garden", cleared the area of scrubs and lalang, and planted ornamental flowering trees and shrubs. The scheme attracted public support, and a leading figure of the Cantonese community, Towkay Chow Ah Yeok, contributed a hundred chempaka and orange trees to the initial planting programme in 1888. 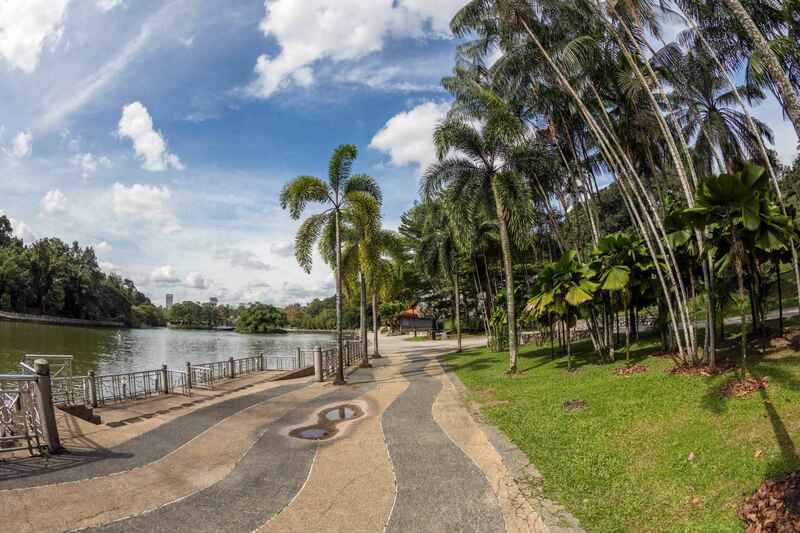 An ornamental lake was created by damming up Sungei Bras Bras, which was then named Sydney Lake after Swettenham's wife (the lake is now known as Perdana Lake). The project took nearly ten years to complete, but the garden was formally opened on 13 May 1889, just a year after work began, by the Governor of the Straits Settlements, Sir Cecil Clementi Smith. The garden is located along Jalan Perdana or Venning Road. It is located near the National Museum of Malaysia. The nearest public transportation hub within walking distance is Kuala Lumpur Sentral railway station. Another option is to take the RapidKL bus B112 from Pasar Seni LRT station. This will drop you at the National Museum which is at the edge of the park. At the park, shuttle trams are available daily from 9 a.m. to 6 p.m. 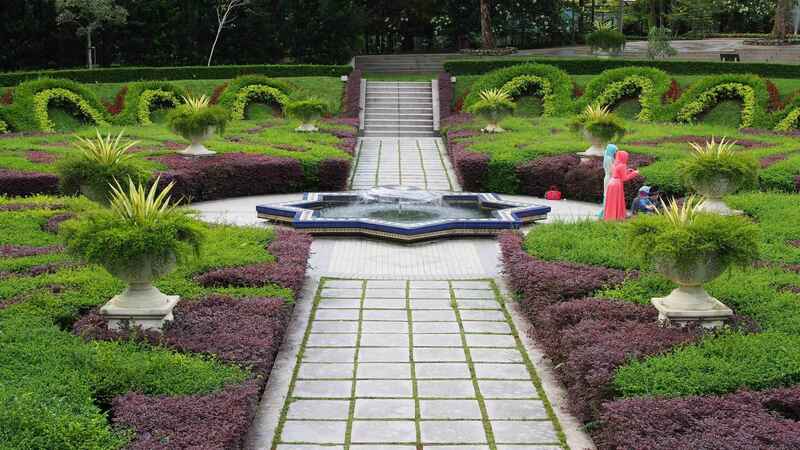 Guided walks are provided free of charge on Sundays, 8 a.m. to 10 a.m.
Perdana Botanical Gardens | eTips Inc.